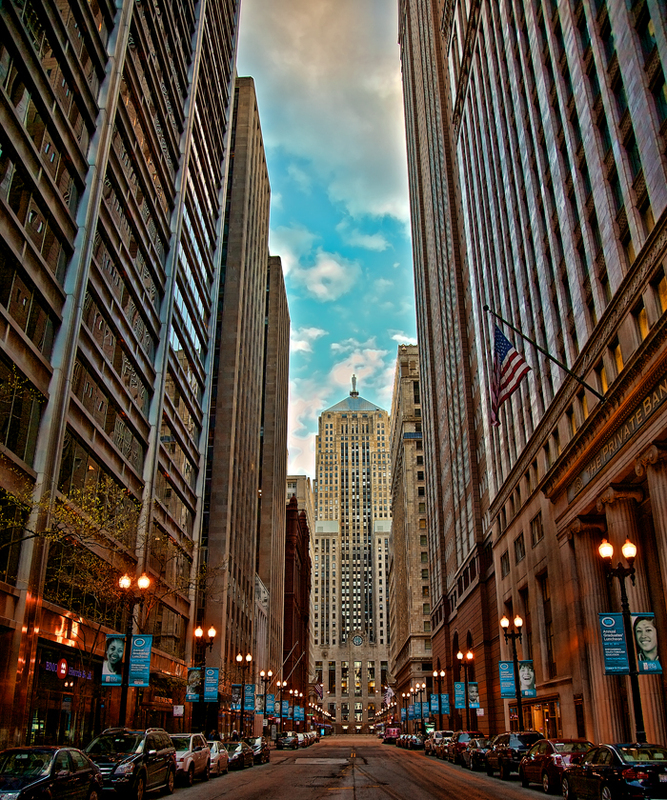 The financial district in downtown Chicago on LaSalle Street. This area is known as LaSalle Canyon because of it’s very tall buildings that line this not-too-wide street in the west loop. 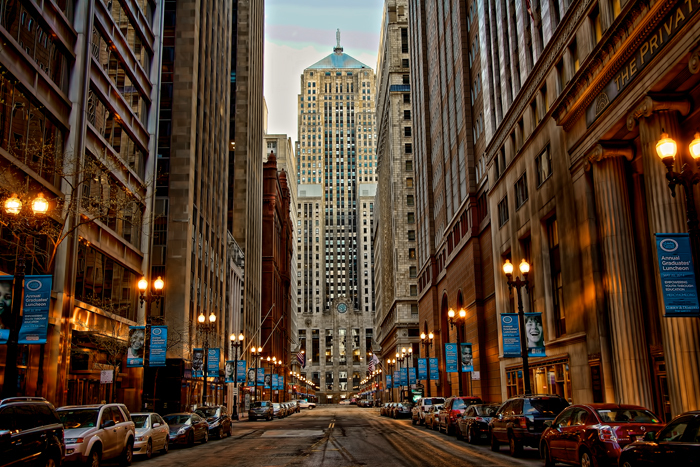 The Chicago Board of Trade Building dominates the view and is the centerpiece to what is known as the LaSalle Canyon. Many scenes for television and movies have been filmed here. Most notable is the movie The Untouchables and the super hero thriller Batman: Dark Knight. View more of my Chicago photos! 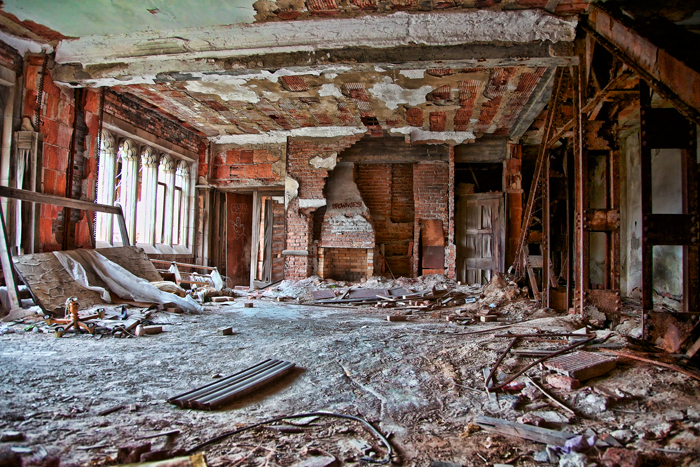 An empty room inside of the abandoned City Methodist Church in Gary, Indiana. This room appears to be a former church room with a fireplace. The fireplace marble and facade was salvaged long ago, the ceiling has all but collapsed, and various debris lies all around. 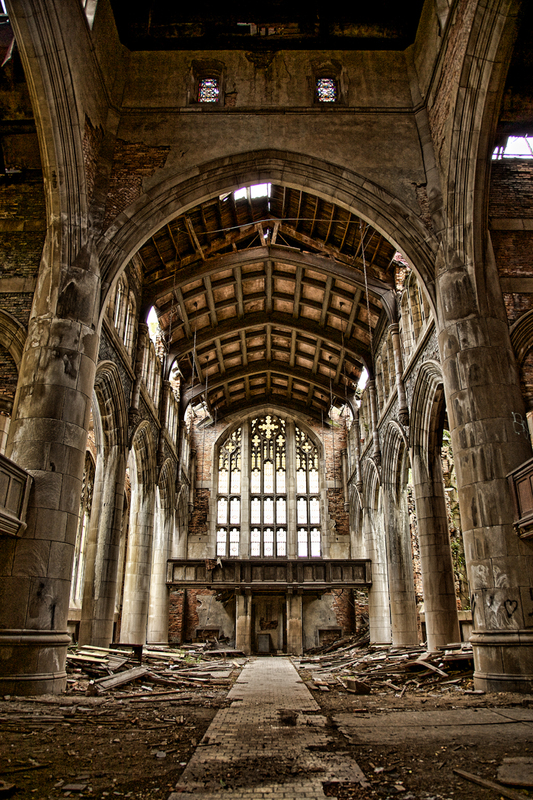 The City Methodist Church is a popular place for Northwest Indiana urban exploration, as is most of Gary, Indiana. 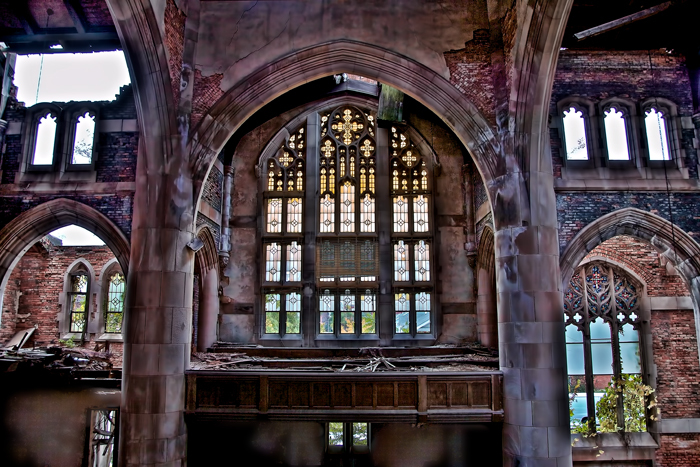 The City Methodist Church in Gary, Indiana has become a popular place for urban exploration photos in Northwest Indiana and is a favorite for urbex photographers. The church closed in the early 1970s and has been abandoned ever since. 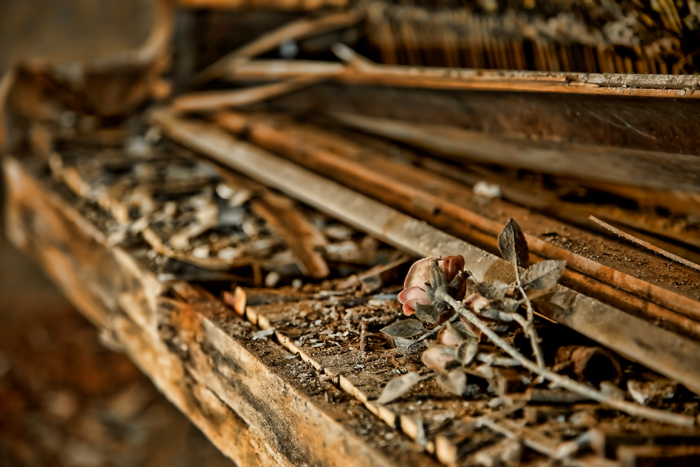 Some stained glass remains, but most of the inside of the church has been salvaged and only stone, brick, and some wooden structures remain. 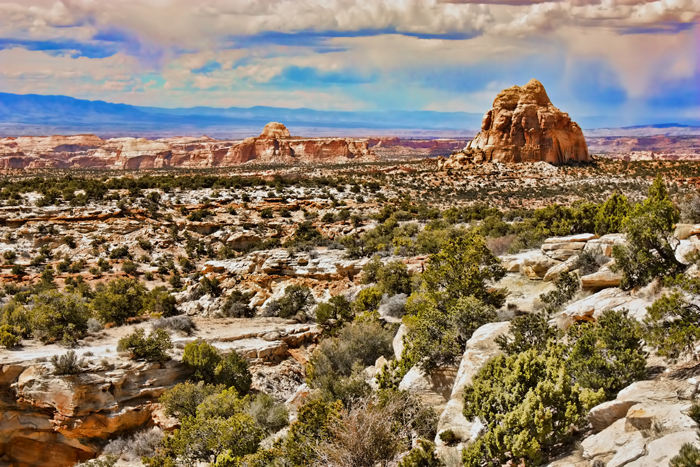 The Utah desert landscape, as seen from the roadside along I-70 in central Utah. 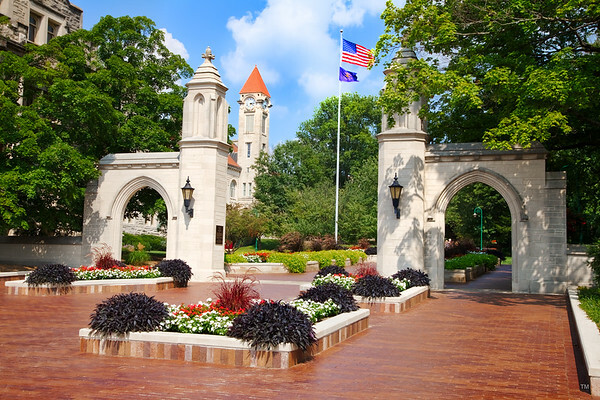 The Sample Gates on the campus of Indiana University. This photo was taken facing west looking down Kirkwood Ave. Decades ago, this pathway was a street that came into the old campus and was one of the original entrances leading to what is known as the ‘old crescent’, a group of the campuses oldest buildings, including Franklin Hall, the Student Building, Maxwell Hall, Rawles Hall, Kirkwood Hall, Lindley Hall and several others. Like most others I know, I love memes. Whether they are in the traditional sense, in the form of eCards, or anything else, so occasionally I like to take photos of mine and make my own funny memes. 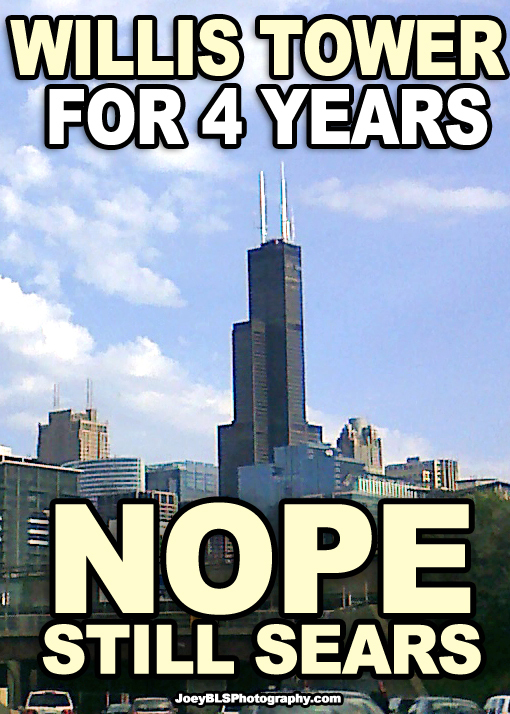 If you are like most Chicagoans, it irks you to hear the name Willis Tower. To some of us, it is still foreign. In July 2009, the Sears Tower in Chicago, the tallest tower in the United States, was renamed the Willis Tower, years after the naming rights held by Sears had expired. Today, four years after the skyscraper was renamed, most Chicagoans still refer to the building as the Sears Tower. Check out all of my Chicago photos from over the years!